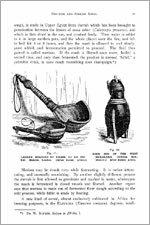 Publisher: Alumni Assn. of the Wahl-Henius Institute, 1911. Reprint Edition, BeerBooks.com, 2005. Hard Cover, 411 pages, 6.25 x 9.25. 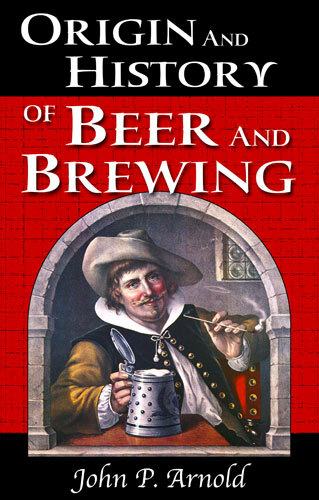 Here is a hard cover, fully-illustrated reprint edition of one of the truly classic brewing books -- Origin and History of Beer and Brewing. 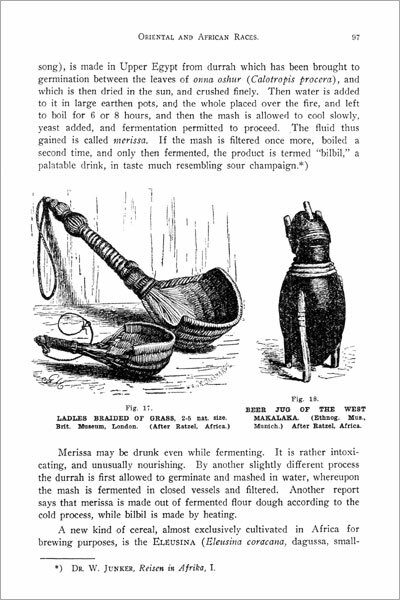 In 1911, brewing scholar John P. Arnold set out to fill a void that existed in brewing literature. It was to be a tribute to the founders of the world-famous Chicago brewing school, the Wahl-Henius Institute of Fermentology, on the occasion of its 25th anniversary. Up to that point, there had been no comprehensive study of the brewing of beer throughout history. 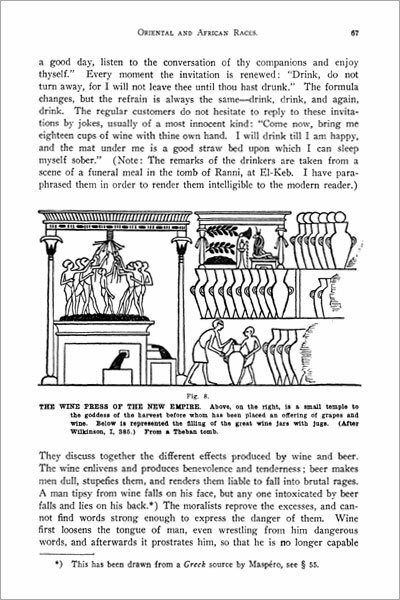 Arnold, a writer and historian, was particularly well-suited to tackle the collossal job of assembling a global history of brewing. He was a former student of the Wahl-Henius Institute and a long-time writer/editor for the brewing journals Der Braumeister and Siebel Technical Review. 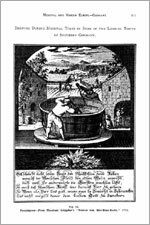 In recognition of Arnold's contribution to the study of brewing history, BeerBooks.com has reprinted Origin and History's pages exactly as they appeared in the first edition, complete with nearly 100 illustrations. 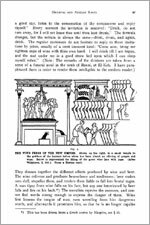 An original 1911 copy was digitally scanned, professionally enhanced and reproduced in a hard cover format. 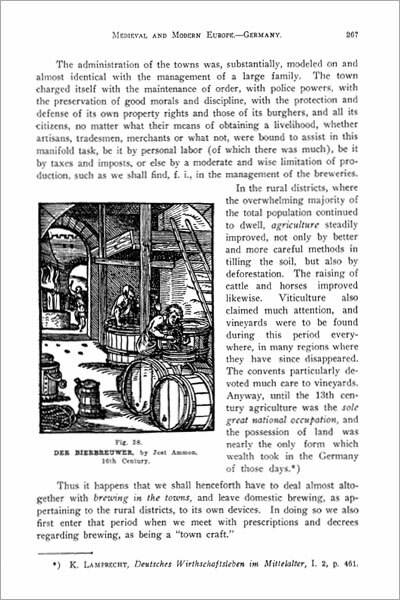 In his foreword, Arnold gave some sense of the daunting challenge that this book represented: "The historian must strive to penetrate into the daily doings and occupations of the people...He must settle down with them, help them brew the honey-mead, watch them till their fields and sow their millet, barley, oats, or spelt, bake their bread and from it learn to make their beer...he must join them at their gatherings, clannish meetings and convivial feasts, when they discuss their common affairs over a stoup of ale or a tankard of foaming beer...He must be able to picture for himself the days of the tavern and the tap-room, the 'Golden Age' of drinking and feasting...Then, and not until then, will we learn and understand the true history of beer and brewing from the early beginning to the present day." When were hops first used in England?